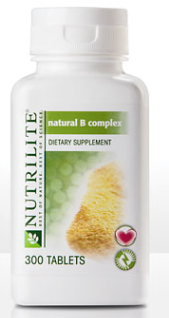 Vitamin B-2 or riboflavin was the second vitamin to be identified within the B-complex vitamin group. Like thiamine (vitamin B-1) it aids in digestion. 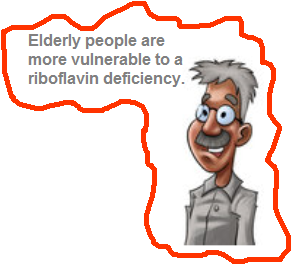 Without riboflavin, your body cannot digest and use proteins and carbohydrates. This vitamin is also similar to vitamin A in that it protects the health of mucous membranes (the moist tissue that lines the eyes, mouth, nose, and throat). A key use of vitamin B-2, is in treating stress and fatigue. This is considered one of the "energy vitamins" from the B vitamin family. It is helpful in relieving stress and is needed more by women taking estrogen (like birth control pills or supplements for menopause). Vitamin B-2 is also used as a mood enhancer when taken with vitamin B-6 and to prevent some types of migraine headaches. It can also support healthy skin, hair, and nails when taken with biotin, another member of the B-complex vitamin family. Higher amounts of riboflavin can be found in foods of animal origin like poultry, eggs, liver, oily fish like salmon, and even milk. Small amounts of riboflavin can be found in grain products, and dark green vegetables like broccoli and spinach. Tomatoes, mushrooms, and almonds are also a good source of this vitamin. Too much riboflavin doesn't appear to cause problems. There is no evidence for riboflavin toxicity when it is taken orally. Vitamin B-2 is a water-soluble vitamin, therefore excess amounts are passed through the urine and not absorbed in our bodies. If there is an excess of vitamin b-2 in the body, it will be excreted in the urine and make the urine a bright yellow color. It is important to stress that a deficiency in riboflavin is usually accompanied by a deficiency of another B-vitamin. If you are considering taking a B-vitamin supplement, it would be wiser to take a B-complex vitamin supplement, which could include smaller amounts of various B-vitamins instead of larger amounts of one specific B-vitamin.